There are many services that will park your photos videos on a cloud-based server, but there are also times when you might prefer having a more personal storage solution. The Kwilt Shoebox aims to fill that need with a tiny device that turns a thumb drive or other USB hard drive into a private and portable server. Kwilt lets users offload photos and videos from their mobile phones, then share them with friends or family members through a Kwilt app. After I met the folks from Kwilt at this year’s CES, they sent me a sample of the device to check out. The tiny gadget has connections for a power cable and a USB storage device plus an HDMI output plug for displaying content on a TV to monitor. To get things rolling, I linked the Kwilt to my home WiFi network, then used the free Kwilt app to transfer content from my iPhone. That process had a few hiccups. It took several tries to move my 23,000 photos from the phone to a 500GB portable hard drive but eventually, all of the still photos showed up in the Kwilt app. I’m still working on offloading my videos. Now that my photos are safely stored on the USB drive, I can delete some from my phone, freeing space to shoot more. 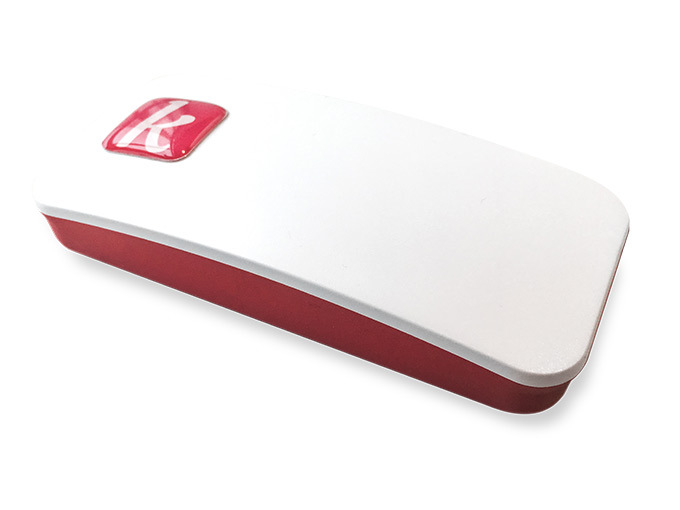 The Kwilt Shoebox works with both iOS and Android devices and has a very affordable price tag of $49.99. To order one or for more details, visit the Kwilt Shoebox website.